100% cotton Fruit of the Loom Platinum t-shirt imprinted with the Team Womack logo. 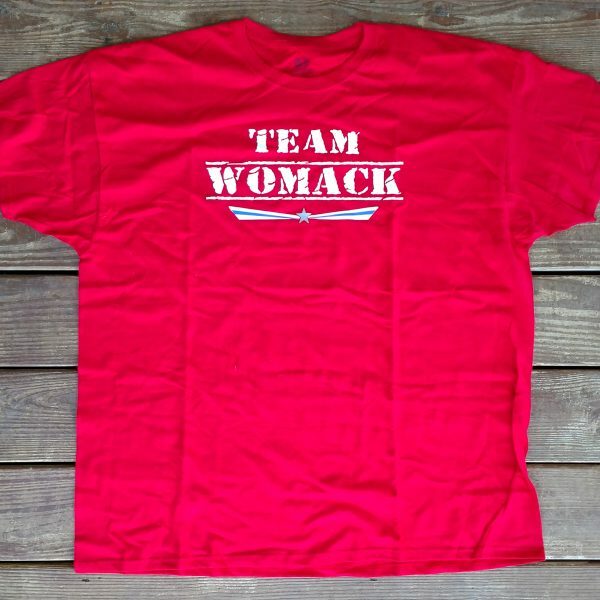 Show your support by wearing this Team Womack T-Shirt! 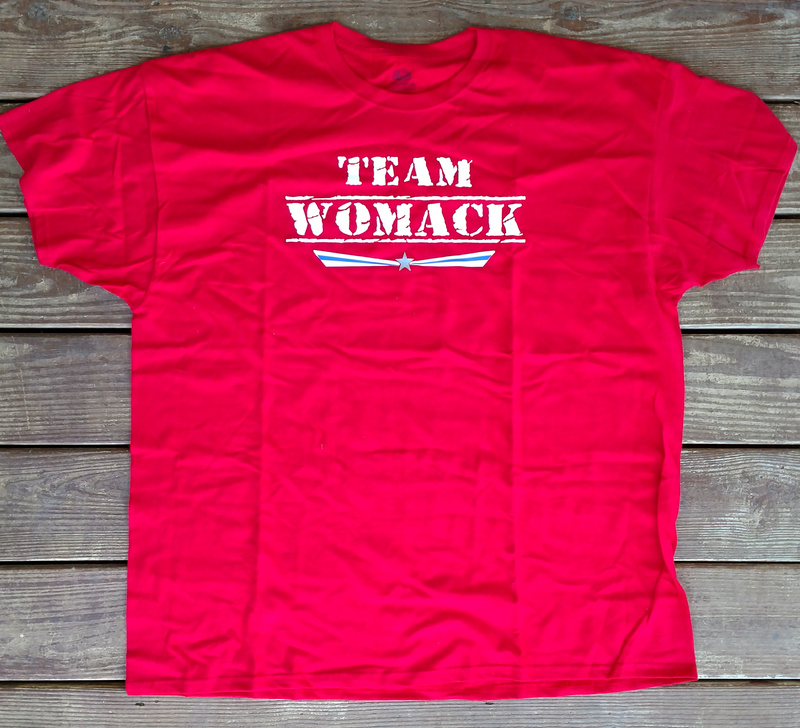 This is a 100% cotton Fruit of the Loom t-shirt imprinted with the Team Womack logo. Your purchase helps to financially support Jim Womack’s campaign for NCGOP Chairman.